One of the questions we’ve been asked most often this week has been “what’s the point of drinking new make spirit?” Well, it’s a great way to better understand the evolution of a whisky from still to cask to bottle. “But you don’t get to follow a single distillation,” says you, “you’re just getting an approximation of distillery style.” Well, aren’t you a smarty pants! If you’re one of the many readers who has been thinking along these lines this week we’ve got great news for you. The very best way to enjoy the development of spirit is to regularly taste from a single cask. If you’re Gerry Tosh or Richard Paterson you get to do this whenever you like. If you’re Jason or Josh, not so much. 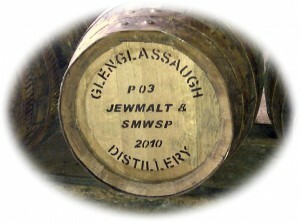 So we’re both very excited to say that we’re now shareholders in a single cask of Glenglassaugh. We get to visit the cask whenever we want and every year, on the anniversary of the filling of the cask, we receive a small sample of the spirit in order to chart its progress. We could even have visited the distillery and filled the cask ourselves before returning in the future to bottle it, too. Doesn’t that just sound like a lot of fun? A few months ago our two respective societies (The Jewish Single Malt Whisky Society and the Single Malt Whisky Society of the Palouse) bought a Glenglassaugh Octave: 50 liters of new spirit aged in a smaller than normal cask (think along the lines of Laphroaig’s Quarter Casks) for between 3 and 7 years. Because of the smaller cask size the spirit is expected to mature quicker than spirit held in the larger casks. We had a choice of peated or unpeated spirit and, being the chaps we are, chose the peated version. As mentioned in our Peated Spirit Drink reviews the barley is peated to 30ppm. The Octave of peated spirit cost us $900, including storage. 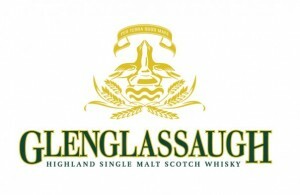 Split among 20 shares, our members (and a good friend of both blogs, Gal Granov of Whisky Israel) were able to invest $45 for at least three bottles of aged Glenglassaugh (the final tally of bottles will depend on the strength at which we bottle from the cask!). We then need to bottle the whisky, pay duty on it and ship our bottles to the US. It’s our hope that all of that will cost our shareholders another $45 or so. If all goes according to plan, the hardest part might be designing our own label! 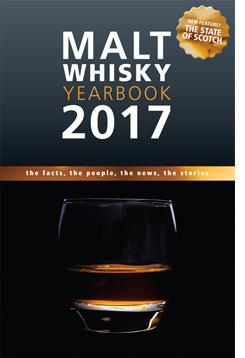 If this is the type of thing that interests you, and you have a group likely to have fun with an investment of this sort (don’t expect to make money, do it just for the fun of it and for the opportunity to follow the evolution of a single cask of spirit), then we recommend looking into it further. Details and relevant forms can be found here.